Netanjahu – Len Bilén's blog, a blog about faith, politics and the environment. Netanyahu’s coded message to Sarah Palin at AIPAC. This week, we will read how one woman changed Jewish history. In Synagogues throughout the world, the Jewish people will celebrate the festival of Purim. We will read how some 2,500 years ago, a Persian anti-Semite tried to annihilate the Jewish people. And we will read how that plot was foiled by one courageous woman – Esther. In every generation, there are those who wish to destroy the Jewish people. 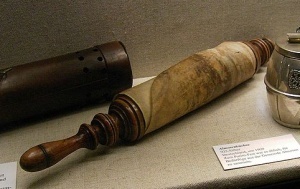 The next day Netanyahu handed US President Barack Obama a gift that spoke volumes about Israel’s tensions with Iran – an ancient Hebrew tome about a Persian plot to annihilate Jews, otherwise known as the Scroll of Esther. The Scroll, or the Megila, tells a tale of palace intrigue featuring a Jewish beauty, Queen Esther, who charms a Persian king into foiling an evil adviser’s genocidal plans for her people some 2,500 years ago. “Then too, they wanted to wipe us out,” Netanyahu told Obama, according to an Israeli official. History was made last week. Did you miss it? There was but a one paragraph mention in most of the news clips. For what it is worth here is my take on it. Sarah Palin visited India in 2011 (She came, She spoke, She conquered, Hindustan Times). On the way back she and her husband Todd visited Israel. She wore a large David’s star as a necklace. One of the stops was to celebrate Purim with Prime Minister Binyamin Netanyahu and his wife Sara. At the feast of Purim it is customary to read the entire scroll of Esther. That Purim was no exception. They mentioned they talked about many things, but mentioned Esther in particular. When Netanyahu spoke Sunday night he was not only talking to all Jews, but it was a coded signal to Sarah Palin. When Sarah Palin abruptly resigned as Governor less than 3 years into her term, she went fishing. The press was there and asked her many questions. She claimed the reasons for her resignation were so obvious that anybody should get it. Liberal interviewers are not just anybody, so they kept asking. In one of her answers she said the phrase from Esther, slightly concealed “If I die, I die”. This was too deep for the interviewers, for they do not even know there is a book in the Bible called Esther, and if they do they would never admit it, for the Bible is not something about which they are supposed to acknowledge any positive knowledge. I believe Netanyahu reminded Sarah Palin about her quote from Esther and the consequences if she doesn’t answer the challenge. I also believed Sarah wore the same necklace in Hannity’s interview of her the same week to respond in solidarity with the Jewish People. Excerpts from the interview can be found in a desperate Obama fundraiser video where Sarah’s remarks are taken out of context to deliberately generate a false narrative of Sarah. But there it is: The David’s star necklace. In Obama’s narrative only a racist can support the Jews. Posted on March 15, 2012 February 21, 2015 Categories faith, Obama, politics, Sarah PalinTags AIPAC, Esther, faith, Iran, Israel, Netanjahu, Obama, politics, Purim, religion, Sarah Palin1 Comment on Netanyahu’s coded message to Sarah Palin at AIPAC. Thanksgiving without God. Barack and Esther. A Limerick. (1). President Obama in his Thanksgiving radio address reflected on how truly lucky we are. He gave thanks to the troops and volunteers in soup kitchens and spread it around. In fact, he gave thanks to just about everybody, but not God. (2)There is a book in the Holy Bible that does not mention the name of God, not even once. The book is Esther (Hadassah in Hebrew). Yet God is everywhere between the lines, just not expressed in words. 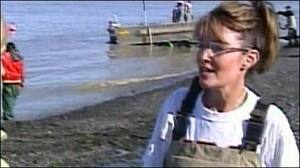 (3)When Sarah Palin abruptly resigned as Governor less than 3 years into her term, she went fishing. The press was there and asked her many questions. She claimed the reasons for her resignation were so obvious that anybody should get it. Liberal interviewers are not just anybody, so they kept asking. In one of her answers she said the phrase from Esther, slightly concealed “If I die, I die”. This was too deep for the interviewers, for they do not even know there is a book in the Bible called Esther, and if they do they would never admit it, for the Bible is not something about which they are supposed to acknowledge any knowledge. 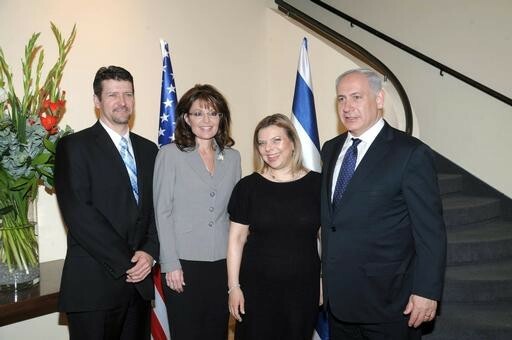 (4)In March 2011 Governor Sarah Palin’s arrived in Jerusalem just as Israelis celebrated the festivities of Purim. Purim is the day Jews celebrate the story of Esther. It’s a very festive day. Kids dress up and food gifts are distributed to family and friends. People are very joyous and there is a lot of singing and dancing in the streets. It’s customary to drink lots of wine on Purim. It is also a day of giving a plenty of money to charity. Governor Palin joined Prime Minister Binyamin Netanyahu and his family for dinner in Jerusalem on Monday evening; The Purim dinner! Posted on February 2, 2012 March 1, 2012 Categories Christian, faith, limerick, Obama, Politics, Sarah PalinTags Christianity, Limericks, Netanjahu, Obama, Purim, Sarah Palin, Thanksgiving3 Comments on Thanksgiving without God. Barack and Esther. A Limerick.